Having a female or an African American in NASCAR, is a great thing for the sport. Danica Patrick has run full-time in the Monster Energy NASCAR Cup Series since 2013. She made a part-time debut in 2012. “Maybe this will get their attention,” Bubba Wallace posted the pizza caddy video to twitter last week. It looked as if Darrell Wallace Jr had set plans for the 2018 season. However, as Smithfield suddenly pulled away from Richard Petty Motorsports, that changed the game plan. Richard Petty Motorsports has yet to sign a primary sponsor for the 2018 NASCAR Cup Series season. NASCAR competition officials announced Tuesday that the No. 24 Hendrick Motorsports team in the Monster Energy NASCAR Cup Series has been issued an L1-level penalty. Two NASCAR Camping World Truck Series teams were penalized following the LTi Printing 200 last weekend at Michigan International Speedway. The Michigan race win is ruled as encumbered. The No. 99 MDM Motorsports Chevrolet failed post-race inspection and was handed an L1-level penalty. Bubba Wallace has had an interesting year. In June, Bubba Wallace was 4th in NASCAR Xfinity Series points. Yet, he bailed on that ride to take the role as fill-in Monster Energy NASCAR Cup Series driver for the injured Aric Almirola. It was announced that Bubba Wallace will run as a replacement driver for Aric Almirola. He is set to make his Monster Energy NASCAR Cup Series debut, this weekend. 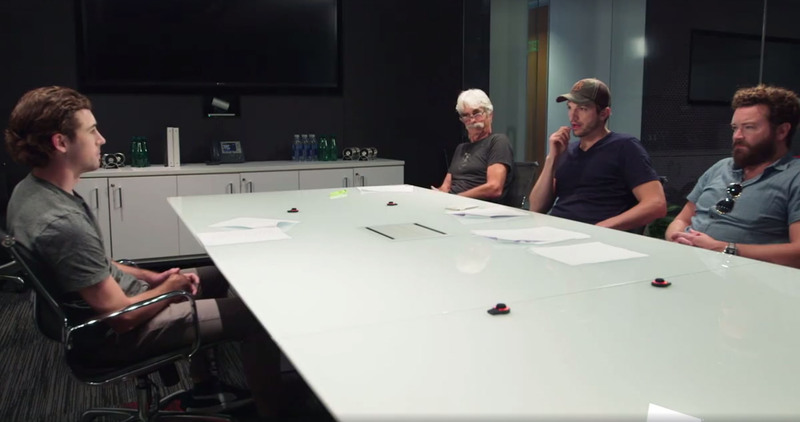 Stars of The Ranch on Netflix sat down with NASCAR driver Ryan Blaney for an audition. Watch the video from the promotional audition below.